A CARPARK where Rockingham’s homeless have sought refuge has become a no-go zone for them after the City began issuing infringement notices and threatening to impound cars. 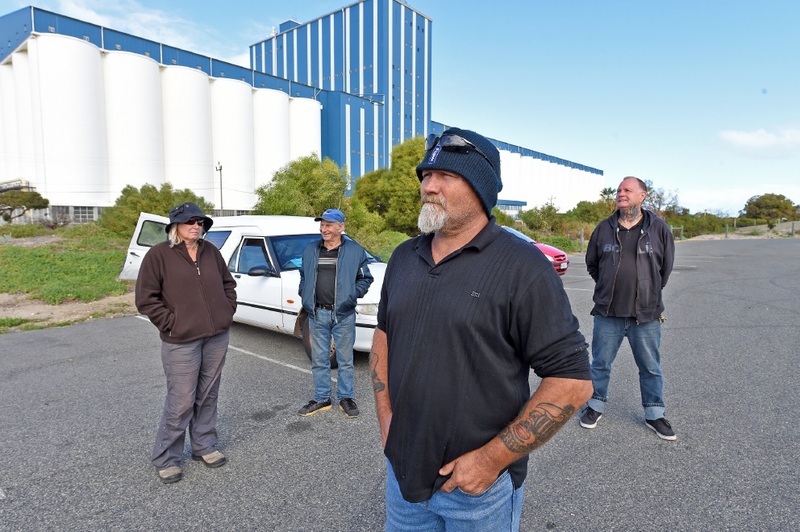 Wayne Van Heythuysen, a man who has been sleeping in his car in the car park – which is near the grain terminal – for the past six months, said he was upset the City had recanted on what he says was a mutual understanding. “We were told to come here because it’s out of the public eye… we stick together because there’s safety in numbers but now they’re trying to send us to the rubbish dump in the bush,” he said. Mr Van Heythuysen said while he acknowledged some people at the site had done the wrong thing, he felt the well-behaved majority were being made to pay for the mistakes of a few. “Apparently members of the public have complained but most of the ones that have caused all the problems have up and left,” he said. The former FIFO worker said the proposed site would limit the quality of life for the people who moved there, as there was no access to toilets, drinking water, bus stops or “contact with humanity”. City of Rockingham Mayor Barry Sammels said the City had been working with support groups to help those “sleeping rough”. “The City has been in contact with several community-based support groups who offer access to assistance and provide advice to people in need,” he said. Mayor Sammels confirmed several complaints had been received by the City regarding people at the car park. “Rangers attended this location on May 23 and discussed a range of issues with several campers and rough sleepers, including the complaints the City has been receiving, sleeping in cars, unruly behaviour, and the laws regarding camping in the area,” he said. He confirmed the City does not have the power to issue move on notices to the campers but could issue $200 fines if they were to breach camping regulations and $65 fines for parking infringements.